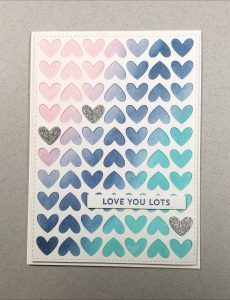 I made this card a few weekends ago on Crafty Saturday to play along with the MFT Color Challenge. This entry was posted in Cards, Challenges, Friendship, Love, MFT Color Palette Challenge and tagged MFT on July 11, 2017 by Kirsty. Well, it feels like forever since I’ve done this. Let’s see if I can remember how to do it! Thank goodness for my crafty friends. Our monthly get-togethers have kept me crafting at least once a month even though moving and setting up my new craft room has taken months longer that I wanted. But it’s getting closer! One more big piece of furniture to move, but it’s a beast! I’m playing along with the MFT Wednesday Sketch Challenge with this card. I may not have a fully assembled craft room, but I couldn’t resist trying out the Distress Oxide inks for the first time when I was creating my cloud background. First impression: So easy to work with! FOr the post the seagull is standing on, I masked the gull and the edges and stamped the post with the Wood Plank background stamp with Hot Fudge hybrid ink then finished cloring it in with Copic markers. This entry was posted in Cards, Challenges, Congratulations, Friendship, MFTWSC and tagged MFT on July 4, 2017 by Kirsty. Here’s another card I was able to make on Saturday. I took the sketch from the current MFT Wednesday Sketch Challenge and turned it on its side. Craft room status: Still a long way to go, but it’s starting to look like a craft room! This entry was posted in Cards, Challenges, Friendship, MFTWSC, Thinking of You and tagged MFT on May 8, 2017 by Kirsty. I actually only made two cards last weekend. Most of my time was well spent working on another project for a friend that I can’t share right now (because it’s not actually finished yet, among other reasons…). But for my second card, I used the current sketch from the MFT Wednesday Sketch Challenge. This entry was posted in Cards, Challenges, Friendship, MFTWSC, Thank You and tagged MFT on May 1, 2017 by Kirsty. Oh, it’s been too long since I’ve been able to get crafty! (Craft Room Status: Still Not Finished…) But this weekend I was fortunate to spend the weekend with a group of my best crafty friends. That is so good for my soul. And after a rough week, I was reminded of how lucky I am to have all the wonderful people in my life that I do. Look, I made a card! I’m playing along with the Color Throwdown this week. This entry was posted in Cards, Challenges, CTD, Thank You and tagged MFT on May 1, 2017 by Kirsty. I’m playing along with the current MFT Color Challenge. 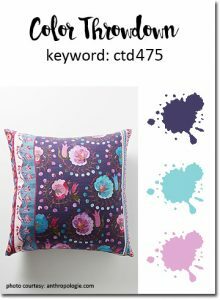 This entry was posted in Cards, Challenges, MFT Color Palette Challenge, Thank You and tagged MFT on April 4, 2017 by Kirsty. I’m playing along with the current MFT Wednesday Sketch Challenge. This entry was posted in Cards, Challenges, Love, MFTWSC and tagged MFT on April 3, 2017 by Kirsty. Another Crafty Saturday this weekend, which means more time for making cards! I’m playing along with the Color Throwdown with this card. This entry was posted in Birthday, Cards, Challenges, CTD and tagged MFT on April 2, 2017 by Kirsty. For my third card from the weekend, I went for simple with multi-step flwoers and the colors from the MFT Color Challenge. Now here’s hoping I can keep up with the crafty fun at home this week! This entry was posted in Cards, Challenges, MFT Color Palette Challenge, Thank You and tagged MFT on March 21, 2017 by Kirsty.